Google is constantly making changes in their software. These changes include tweaks in Maps, the browser known as Chrome and many of their other products. About 6 weeks ago, Google Chrome began causing trouble for some of our customers. When they printed a floor plan or map, the page would print with a black box. We have discovered the reason as to why this occurred. When we create a floor plan or map, these files are saved as Portable Document Format (PDF's). When you click to open the drawing, it could be seen so we knew that it was delivered to you. Then, when you tried to print it, it went black. New Google Chrome uses their own PDF plugin and set it as the default PDF reader. That meant that even if you had the free ADOBE READER on your computer, Chrome blocked you from using Adobe Reader and defaulted to Google's version. Open Google Chrome. In the address bar, type: chrome://plugins - a new screen will appear. Look down the list and disable the Chrome PDF Viewer by clicking on the word, "Disable." That will change it to read, "Enable." 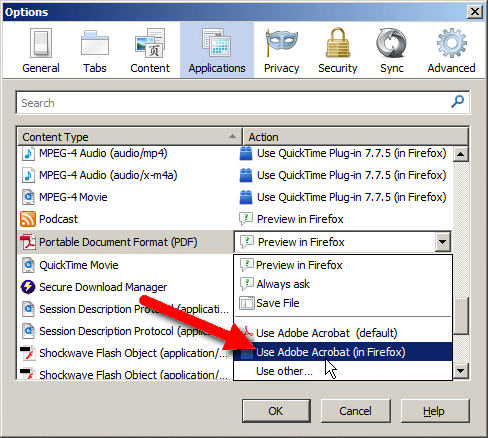 Then click look further and change the Disable to Enable on the the Adobe Acrobat or Adobe Reader plug-in. Select a relevant content type from the Content Type column. In the Action column, select an application to open the PDF. For example, to use the Acrobat plug-in within the browser, choose Use Adobe Acrobat (in Firefox). Associate the content type with the application to open the PDF. 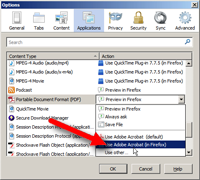 For example, to use the Acrobat plug-in within the browser, choose Use Adobe Acrobat NPAPI Plug-in.